A recent study published in the journal Pediatric Obesity claims parental smoking habits may have more impact on offspring BMI than maternal smoking habits during pregnancy. Information for the study was collected from the German Ulm Birth Cohort Study of 2000. More than 1,000 children took part in the study – being followed for the first eight years of life. BMI was impacted by maternal smoking habits, but previous studies had already concluded this connection. What researchers looked for was continued contact with smoking parents in hopes of finding a connection between parental smoking and childhood obesity. Children in homes where fathers smoked and mothers and fathers smoked were more likely to measure increased BMI at age eight. Concluding: Though maternal smoking habits during pregnancy may contribute to increased BMI in offspring, researchers are no certain if pregnancy smoking is actually the cause. 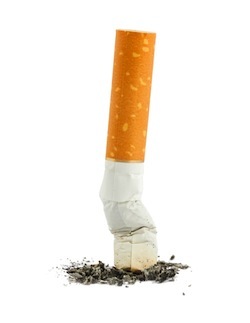 Parental smoking habits may increase the likelihood of obesity as well. Source: Florath I, Kohler M, Weck MN, Brandt S, Rothenbacher D, Schöttker B, Moß A, Gottmann P, Wabitsch M, Brenner H. Association of pre- and post-natal parental smoking with offspring body mass index: an 8-year follow-up of a birth cohort. Pediatric Obesity. 2013 Feb 18. doi: 10.1111/j.2047-6310.2012.00146.x.